So many prayers and petitions have been lifted up and signed throughout the Body of Christ as a response to Pastor Saeed Abedini’s imprisonment in Iran. After more than three years he has finally been released. Jay Sekulow, with the ACLJ, and Franklin Graham have spearheaded so much in order to bring Saeed back home safe. With compassionate hugs and eager embraces, Saeed’s parents see him and urgently embrace him just seconds after he steps off the plane in Asheville, North Carolina. There have been many discussions talked about regarding what will take place during this year. After a round table gathering of prophets they all shared about what the Lord has been revealing to them. Cindy Jacobs has now released what was gathered in that round table meeting. She squarely sets the tone to what is to take place with these opening words, “2016: The Year the Tide Turns”. The world watched as repeated undercover video, one after another, allegedly showed the events that were taking place involving Planned Parenthood and the selling of baby body parts. A Grand Jury has been enacted and an indictment has been issued. The indictment was not issued to Planned Parenthood, but to the creator of the investigative films, David Daleiden. Watch the full report and pray! 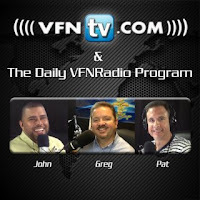 Also shared in this segment: Planned Parenthood, persistence, and persecution. Greg and John shared in this segment. Taking a trip like this with your daughter for one last moment before she has her first child strikes a memory of how Greg surprised his young daughter for a lobster lunch on the Palafox Pier for her 25th birthday. Embark on this journey with us as we join Franklin and his daughter Sissy as they travel through Israel on a seven day Tour in Israel. See the sights, meet the people, and so much more. Also shared in this segment: Israel, family, history, and seafood. Greg and John shared in this segment. WATCH! Officers Training in Urban Warfare for Another “Paris”; Brian Carn says “the Next 8 years will be Worse than the Last 8 years”?